Ever since korean Martial Arts Master Jhoon Goo Rhee from Tae Kwon Do School has invented the first model of Plastron Training Body Protector for USA practionners in 1972, other Martial Arts Schools all over the world have imitated afterwards to get martial students to wear it to training for competitions. 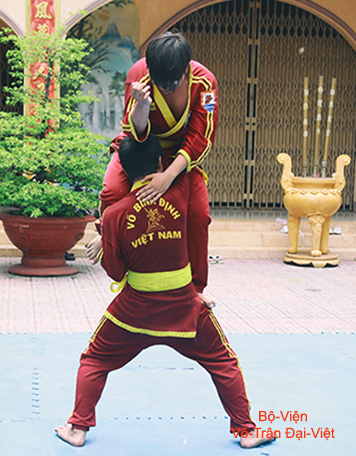 For Traditionnal Martial Arts of Việt-Nam, the use of this Plastron Training Body Protector owns a certain usefulness but includes several damaging effects. To equip martial students with Plastron Training Body Protector owns an usefulness in the sense that to save them accidents and wounds occasioned during the training for fighting and by this way to help them to be more cheeky faced with the knocks hit. 1) - The first damaging effect, there's the impoverishment of Traditional Martial Arts due to the dependence on efficiency of passive defence mean. 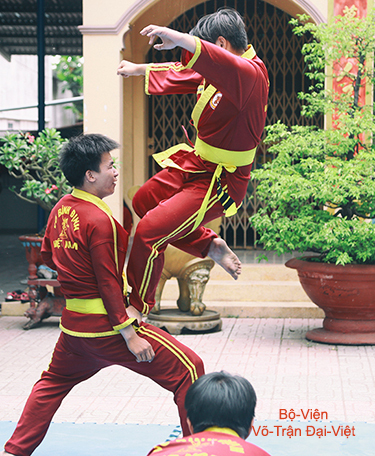 In addition, people has tendency to organize too early combats according to the Competiton model, while martial students don't yet master techniques of combat according to Traditionnal Martial Arts of Việt-Nam. was fighting according to Modern Sport of Combat on Ring. was fighting according to Battlefields Medieval Martial Arts. 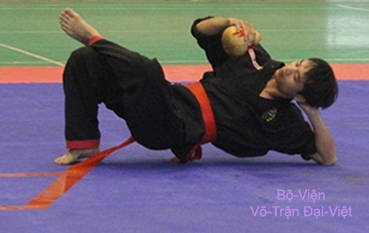 To put oneself to some trouble for running after the use of Plastron Training Body Protector in order to organize Combats of Competiton like others Martial Arts from foreign countries shows proof of Conservative Mind of New Training Method. 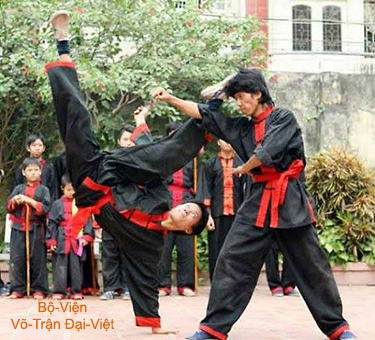 This way has as consequence, led to by these damaging effects mentioned previously, the decline from day to day more serious of Traditionnal Martial Arts of Việt-Nam because they are assimilated by other Arts of Self-Defence and Fighting Sportswith an unacceptable connivance. 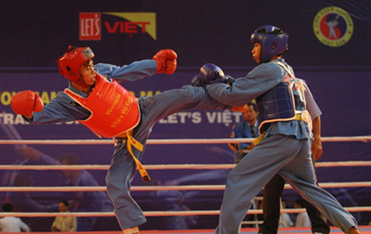 accrding to the Muay-Thai Martial Arts. 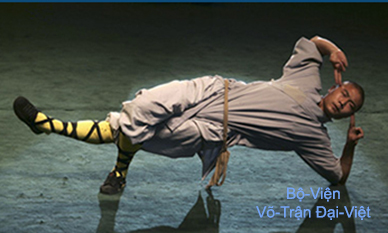 was training for combat according to the Brazilian Capoeira. 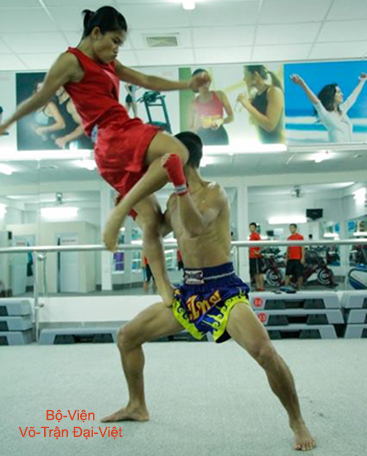 according to the Muay-Thai Martial Arts. 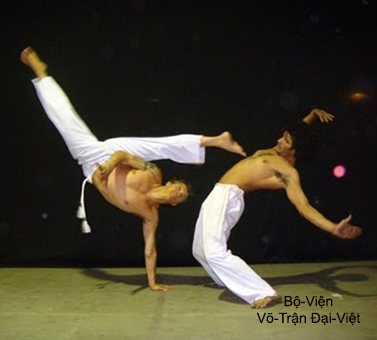 was demonstrating the Túy-Quyền (Drunken Man Boxing). according to the Chinese Hung-Gar Kung_Fu. 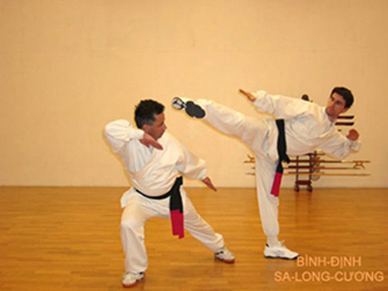 More serious are the usurpation of the name and the falsification of Traditionnal Martial Arts from Việt People's Lands in general and from Bình-Định's Region in particular, without any consideration for the Imponderable Cultural Inheritance of Traditionnal Martial Arts Studies of the Nation, a Mnemonic Cutural Inheritance that our parents and ancestors have been struggled for preserving it and beaqueathing it to descendants throughout so much perils caused by governements of invaders.